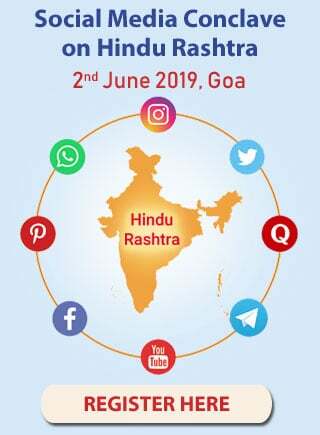 From the beginning of the world many have criticized the Sanatan Vedic Dharma (Hindu Dharma), Holy texts of Hindus, Deities, Saints, arrangement of society according to the Classes and stages of life (Varṇashramvyavastha), Spirituality etc. These criticisms are spread in the society through speeches, seminars, books, newspapers, banter etc. Due to the prevalent way of teaching, most people do not realize that, ‘it is a criticism’! Many believe this inappropriate criticism to be true; while others even though they realize the criticism to be inappropriate fail to debate it due to lack of counter arguments. Sometimes incorrect thoughts are conveyed by the learned or scholars because of their ignorance. When these incorrect criticisms are not countered appropriately, it wavers the faith of the Hindus and causes loss to Dharma (Dharmahani). 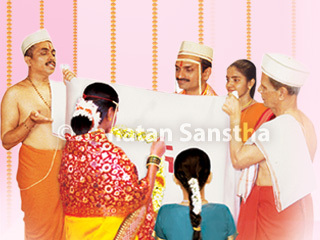 As per the current era, stopping this loss to Dharma is abiding by Dharma’. Delineated below is the counter arguments for the inappropriate thoughts and and criticisms about ‘Religious observances’, so that the Hindus get the mental strength to stop this loss to Dharma. 1. Religious observance of ‘Vata-savitri’ is clumsy and foolish ! On Jyeshth Pourṇima, about 100-125 women collected near a huge banyan tree near a river bank with articles for ritualistic worship. After the priest’s recitation of the ritual, the women began circumnavigating the tree with a thread. 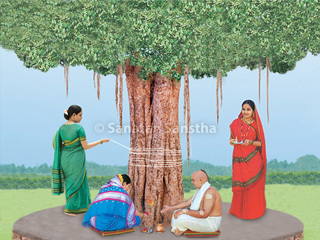 Thereafter, they kept a lit lamp and incense sticks,fruits and other offerings in front of the tree. They gave offerings to the priests. All the women doing this ritual of chastity were married. 1A. 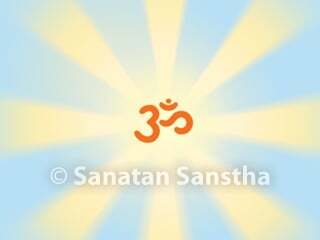 Criticism : The modern people say that, ‘The religious observance of ‘Vata-savitri’, which entails a prayer, ‘let me have the same husband for all the births’, is clumsy and foolish. It is completely irrelevant to the present times. Abolish it!’ Modern women who consider individual freedom paramount, have tension upon hearing the word ‘Vata-sāvitrī’,their face turns red and their foreheads begin to throb. A curious person : Aren’t these women praying for having the same husband in all births foolish? Gurudev : Apart from the women influenced by the Western Culture, all the others observe this religious observance. A curious person : Amongst these women many of them would be ill-treated by their husbands and subjected to quarelling. Gurudev : Have you ever tried to find out what is in the subconscious mind of the women observing the ritual of Vata-savitri with complete faith for years? 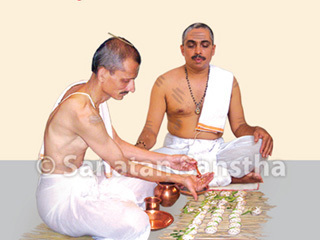 These women observe the Vata-savitri so that there is an improvement in the behaviour of their husbands who are with them in this lifetime as per their destiny. And as a result their lives would become pleasant. 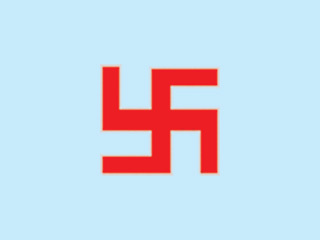 As they believe in many births; so even if they have it suffer in the current birth, they believe it to be a result of their deeds in the previous births. Thus, they say that, ‘let us endure this suffering and finish it in this birth itself; God will definitely give the fruits of abiding by Dharma in the future births’. So naturally they have the strength to face any situation. It is not in our culture to leave the present husband and marry someone else or even to ask for anything else. There is a verse in Hindu marriage ‘समानी व आकूतिः समाना हृदयानि वः । समानमस्तु वो मनो यथा वः सुसहासति . It means, ‘Let your resolve be the same. Let your hearts be one. Let your minds blend; thus by virtue of this let your work happen in communion. Due to this the husband and wife gain strength to face any adversity and are able to become expansive and compatible. 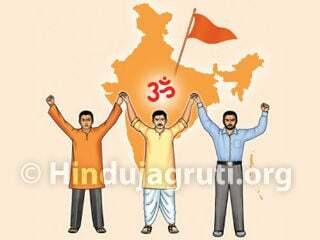 They become more sacrificing This itself is the core of our Hindu Culture. Who is superior; a woman who is patient with the ill-treatment of the husband or the one who fights over petty issues; has a divorce and marries another man? 2. Rajneesh, ignorant about the importance of Vowed religious observances and fasts ! 2B. Counter argument : Rajneesh is pointing weapons towards vowed religious observances and fasting. 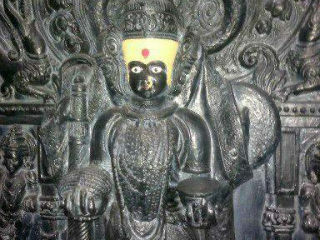 I have friends who have observed Nirjala Ekadashi, that is, fasted without even having water for the past 20 years. They say that they start getting intense feeling about the fast. a day prior to Ekadashi I. “I am not supposed to eat on the night prior to the fast so I don’t eat anything. The day of the fast goes by in complete Bliss and happiness.” Among the Jain community, they fast for a month only on warm water. A person inexperienced in fasting may feel hungry; but on the day of the fast he can handle the hunger with endurance. Thus,he does not even remember food on that day. He experiences bliss with the thought that, ‘I am observing the vowed religious observance and my bad nature is being surrendered at the Holy Feet of God’. As opposed to this, when a person who does not fast, remains hungry for a day he ends up being morose and tensed. His enthusiasm reduces and he is not able to concentrate on other work. The same incident bestowing bliss gives sorrow if the perspective and temperament are not changed. Shriram and Shri Krishna are not God’s but humans ! Misconceptions and its refutation : There are 330 million Hindu Gods.